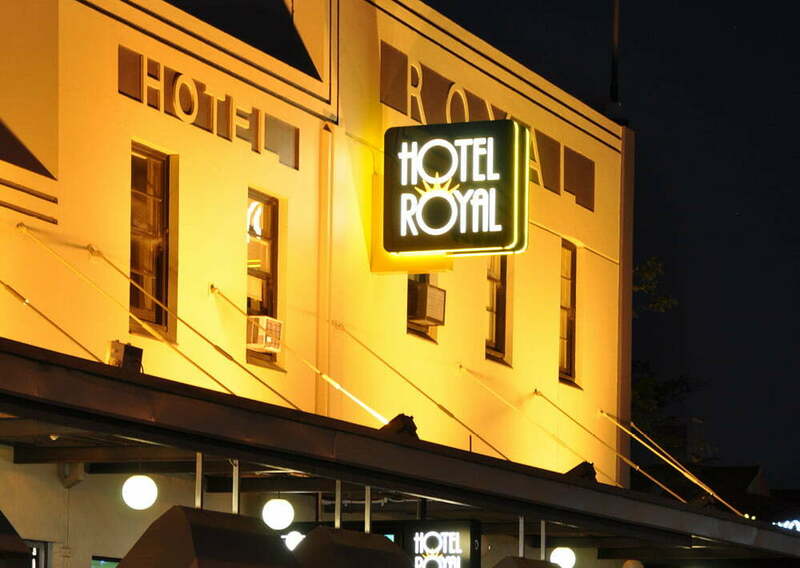 After undergoing a re-development the Royal Hotel required a new identity. Toolbox were engaged by the Hurley Group to create the identity and signage package for the hotel. The identity was developed to compliment the original Art Deco characteristics of the building, sign applications included main identity, entrance and directional signs. The concepts also included simulated lighting treatments to show the visibility and aesthetics at night.